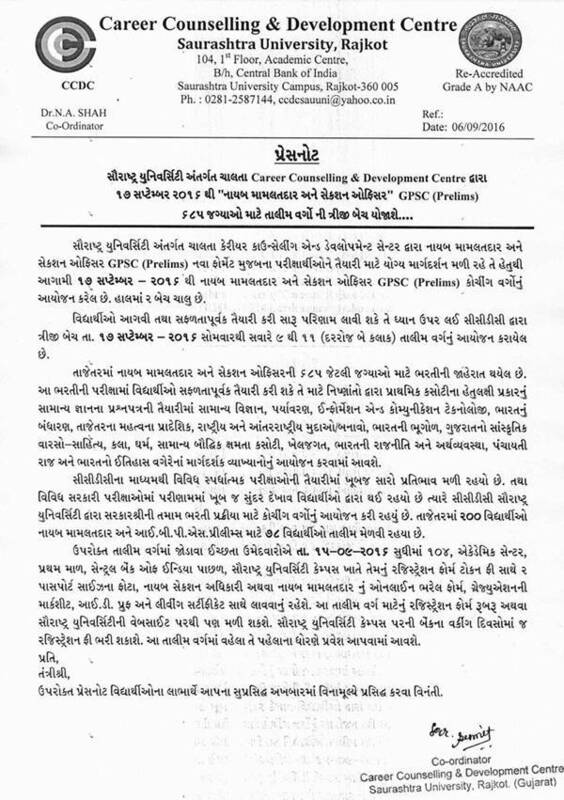 Career Counselling and Development Centre (C.C.D.C), Saurashtra University, Rajkot Published Coaching Class Pressnote for Section Officer / Dy. 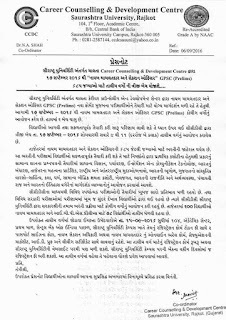 Mamlatdar Exam 2016. For More Detail Contact to : Career Counselling and Development Centre (CCDC), 104, First Floor, Academic Centre, Behind Central Bank of India, Saurashtra University Campus, Rajkot-360005.